SONAX Detailing Cloths are available for whatever project you are taking on. 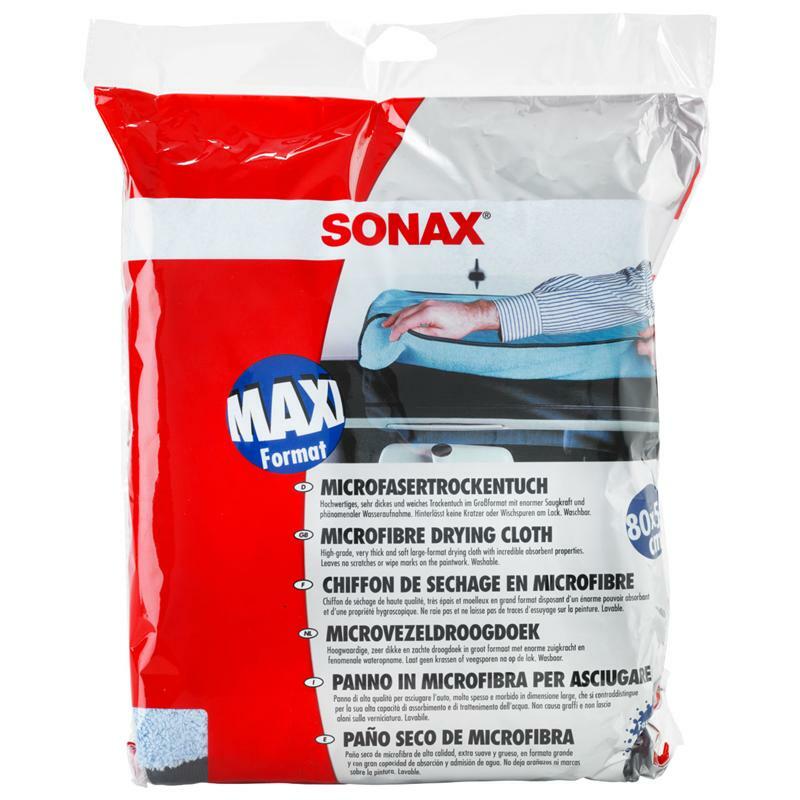 SONAX Microfibre Cloths Ultrafine 3-pack is a professional standard cloth for the highest requirements necessary, especially sensitive surfaces. Leaves no residues or wipe induced scratches after final polishing. The cloths have rounded off corners and turned in edges to maximize softness. Seams are stitched in different colors to avoid using different products with the same cloth. 1 towel has a white seam, 1 towel has a red seam & one towel has a blue seam. Each cloths edging is silk to reduce etching on newly polished paint surfaces. There are no tags on the towels. Very soft and absorbant.